Our clients range from athletes looking for a competitive edge and those in good health doing a detox program or health maintenance, to those who have been chronically constipated or are recovering from dis-ease. Feel a cold or flu coming on? A colonic can help. Water flow into the colon has been known for thousands of years to relieve dis-ease symptoms and distress in the intestine. Clients from 6 to 85 have benefitted from colon cleansing. 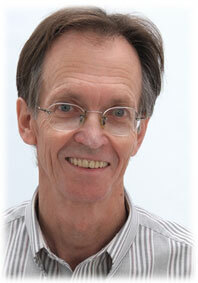 Bill Haggard owns All About Health where colon hydrotherapy and cleansing are our specialty. Our water quality is very important to us. Filtered 4 times, softened with magnets and provided energetic support, we expect we have the best colonic water in town. We use disposable equipment. To understand Bill’s passion for colon therapy and his conviction in the effectiveness of his work, one must look at his personal story and what a difference this treatment work has made in his own life. Twenty-two years ago, Bill found himself suffering from a life-time exposure to toxic environments: chemicals for his grandpa’s farming, his mother’s furniture refinishing, his father’s mechanic activities and house restoration work, along with mosquito spraying for the town. In Vietnam he was exposed to Agent Orange. Diagnosed with several inconclusive conditions, to include liver ailments and chronic fatigue, Bill felt his life slipping away. The doctors were not able to help, he was given up on by the medical profession. At one point he wasn’t expected to make it through the month. In desperation, he began researching alternative therapies and ‘discovered’ colonics. Here began Bill’s journey of recovery. As he continues to grow in health he now has a life free of the “ailments” previously diagnosed. Having been reduced to living on disability for some years while recovering his health, he now offers colonics to a thriving clientele, who benefit from his passion and expertise. Bill recognizes that stress, refined food, dehydration, chemical exposures, and unprocessed trauma and emotions can impede your colon’s ability to eliminate efficiently. The body will store what it doesn’t have the capacity to fully release. One person tells the story about a toy car wheel she had swallowed in childhood 50 years earlier come tumbling out during a colonic session in Alaska. Bill’s philosophy for health is simple. Just as a car does best with regular oil changes and quality fuel, your body requires whole foods and regular cleansing support. Good fuel in, change the oil and oil filter is Bill’s motto. Prior to offering colonics for more than 17 years, Bill received colonics for more than 5 for his own personal health recovery. He continues them as part of his regular health maintenance. Bill’s colonic journey took him to a number of different practitioners from Tucson, Phoenix, Albuquerque, Santa Fe, Durango (in CO), Chicago (in IL) and more. Having discovered what works and doesn’t work from each of them, as well as his formal training at the New Mexico School of Natural Therapeutics, Bill, with the intention of being gentle yet very effective, incorporates the best of what he has learned into his sessions for the benefit of his clients. the best water we know how to offer.